REIKO by Christian Fischbacher of Switzerland - an ethereal, asymetrical embroidery design that embodies the spare elegance of the Japanese aesthetic. 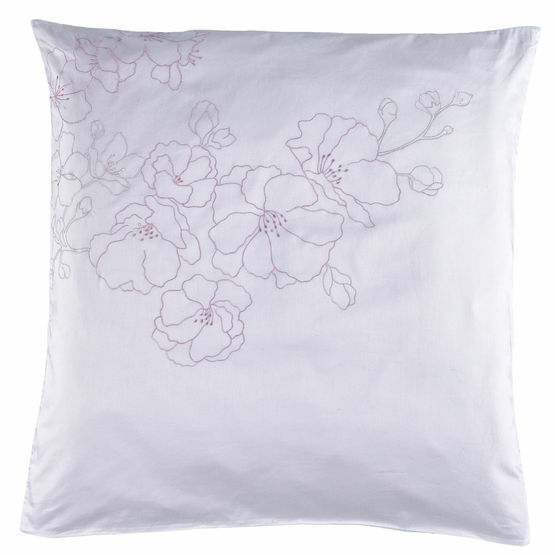 Subtle embroidery of cherry blossoms in rose or light grey on white Swiss sateen - light as air! 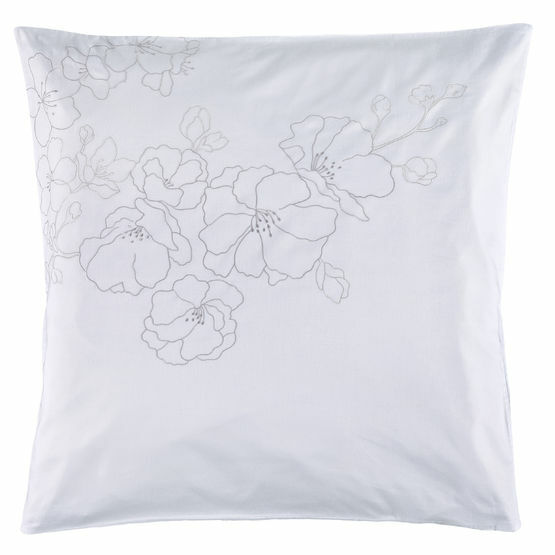 For solid color flat sheets, fitted sheets, and pillowcases, please see Sateen 105 collection by Christian Fischbacher. Reiko Twin Duvet Cover 71"x84"
Reiko Queen Duvet Cover 90"x91"
Reiko King Duvet Cover 107"x91"